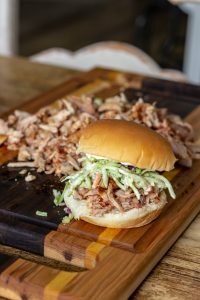 I love making pulled chicken on my Traeger. It’s easy to make and doesn’t require near as much time as pulled pork or beef. 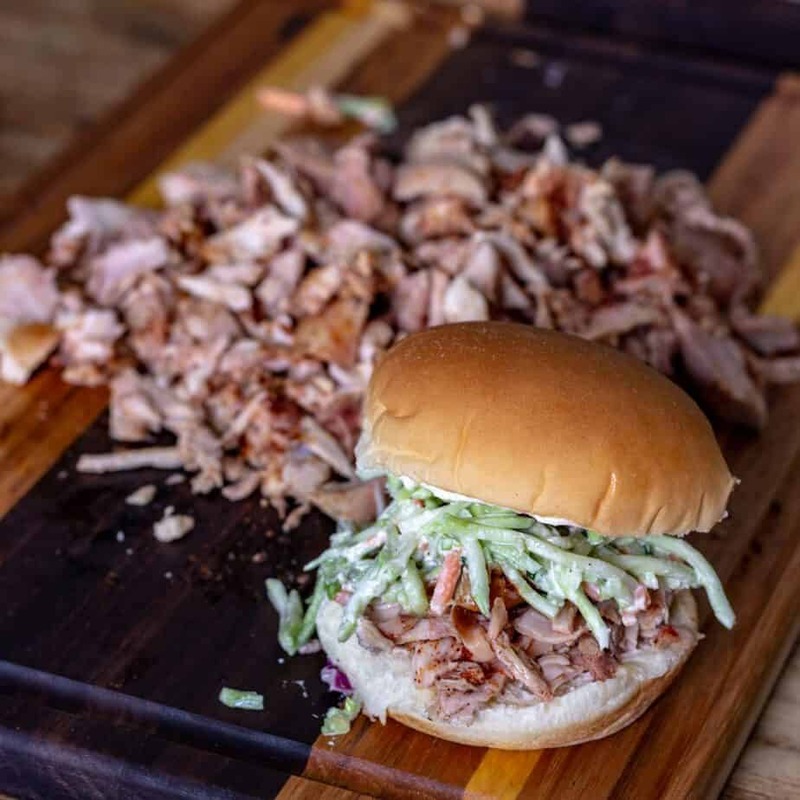 Just like pulled pork, Traeger pulled chicken is great on a bun, and it’s convenient for lunchtime salads too. Chicken doesn’t have near as much fat as pork does, so a big component of this recipe is the brine. The brine adds some much needed moisture to the chicken. 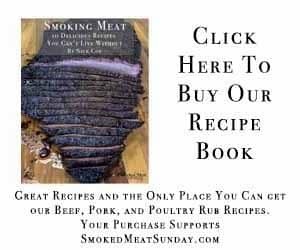 If you skip the brining step, your meat will end up dry and rubbery. 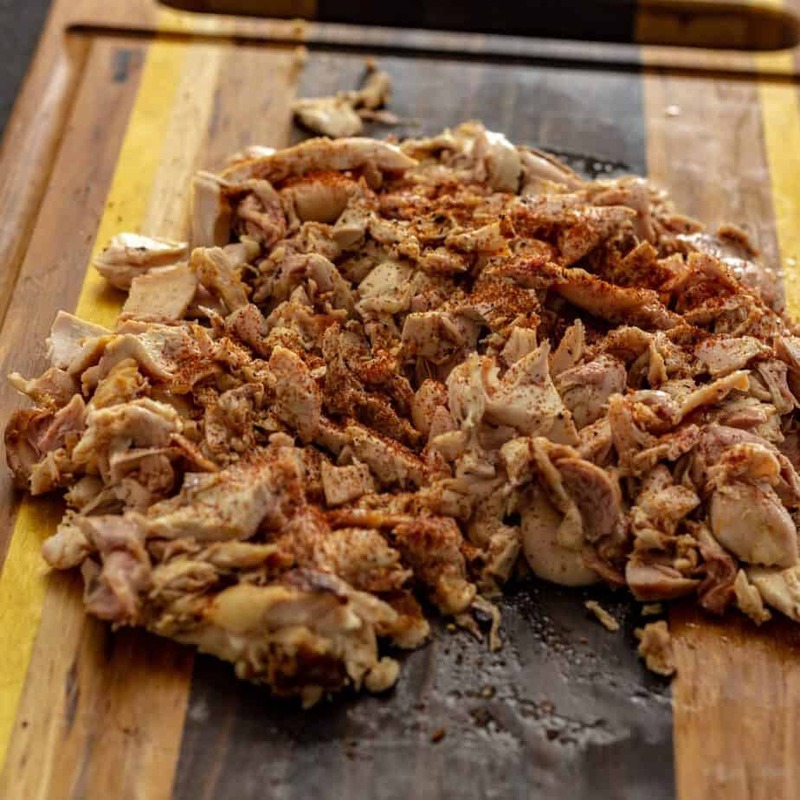 To make Traeger pulled chicken you’ll need just a few ingredients. I’ve shared this brine recipe before. 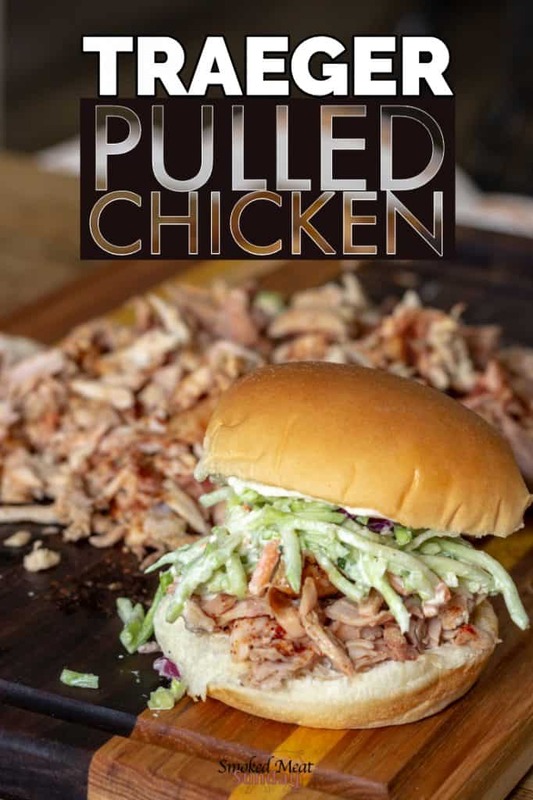 It’s the same recipe I use when I make chicken thighs or whole chicken… It’s great for this Traeger pulled chicken recipe too. Brining the chicken parts adds some moisture to the meat, and some extra flavor too. Brining is a simple process, and it only takes a few hours. In a large ziplock combine 6 ounces of beer, 3 cups of water, 1/8 cup of salt, and 1/8 cup of brown sugar. Place the chicken quarters in the brine, and seal the ziplock. Chill in the fridge for at least three hours, and up to 24 hours before smoking. After the chicken has brined, remove each quarter from the ziplock, and pat dry with paper towels. Apply the rub to the underside of each quarter, and then underneath the skin. If you’d like you can apply the rub to the outside of the skin too, but it’s not necessary. I discard the skin after the chicken has cooked. Set up your smoker to smoke at 225 degrees, and place each of the quarters directly on the grill grate skin side up. Let the quarters smoke for one hour and then turn the temperature up to 350 degrees. When the internal temperature of the thighs hits 170 degrees, pull them off the smoker and let the chicken quarters rest. I talk about internal temperature a lot on this site, and this is another recipe where the internal temperature is crucial. Chicken is safe at 165 degrees, but I brought this chicken up to 170 so it would be easier to shred. To know exactly when the chicken was at the right temperature I used my Thermoworks Smoke. I like my Thermoworks Smoke more every time I use it. It’s easy to set up and allows me to monitor the temperature of my smoker, and the internal temp of whatever I’m cooking, remotely. 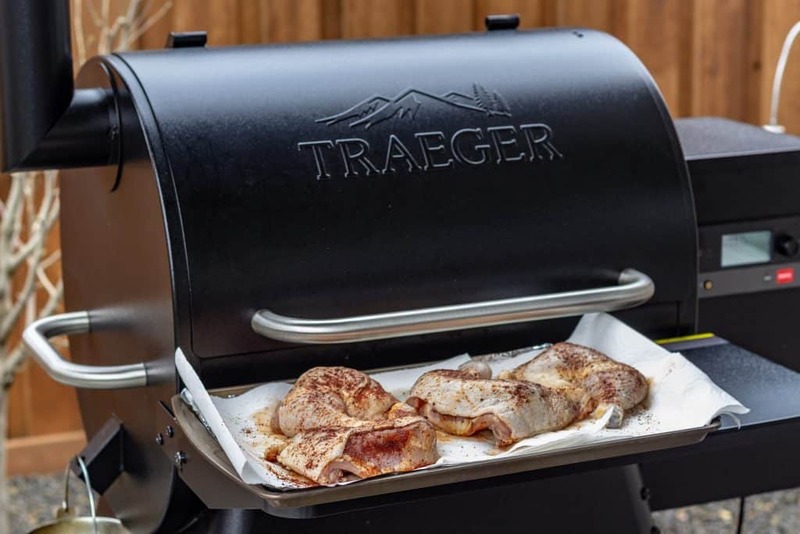 I set high and low alarms for the smoker to monitor flare-ups or flame-outs. I set an additional alarm for the food so I know when it’s time to go out and spot check the meat with my Thermapen. This might be the hardest part of the whole recipe. Allow the chicken to rest for about ten minutes, and then use your hands and a fork to shred the chicken. I remove the skin and discard it with the bones. You can save the bones to make some excellent stock. After you’ve removed the meat from all of the chicken quarters, I use a knife to chop up the meat to a little bit smaller pieces. 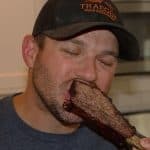 Toss the meat with a tablespoon of apple cider vinegar and another tablespoon of rub, and then enjoy! 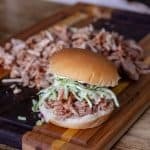 This Traeger pulled chicken is delicious on a bun with a zesty slaw on top, or on top of salads. You can certainly add some barbecue sauce to the chicken to zest it up, but I think it’s just fine without the sauce! After the chicken has brined, remove each quarter from the ziplock, and pat dry with paper towels. Apply the rub to the underside of each quarter, and then underneath the skin. If you’d like you can apply the rub to the outside of the skin too, but it’s not necessary. I discard the skin after the chicken has cooked. 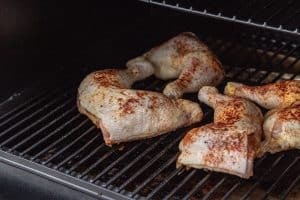 When the internal temperature of the thighs hits 170 degrees, pull them off the smoker and let the chicken quarters rest. Allow the chicken to rest for about ten minutes, and then use your hands and a fork to shred the chicken.